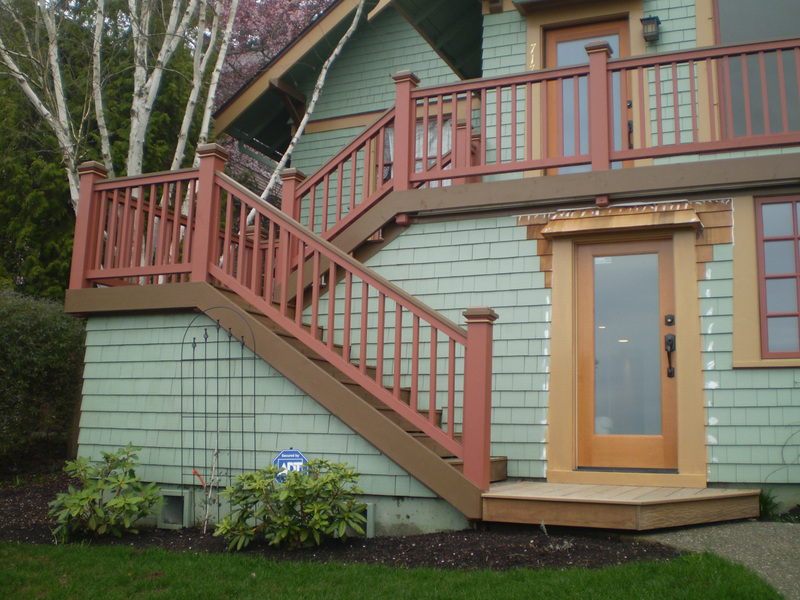 Do your outside stairs add to your home or detract from it? This set of stairs, accessing the second floor from the outside, are an asset to the homes appearance. As you can see, some minor work was still underway around the first floor door. The stairs are an example of how a utilitarian part of a home – stairs – can be made to dress up the homes exterior!